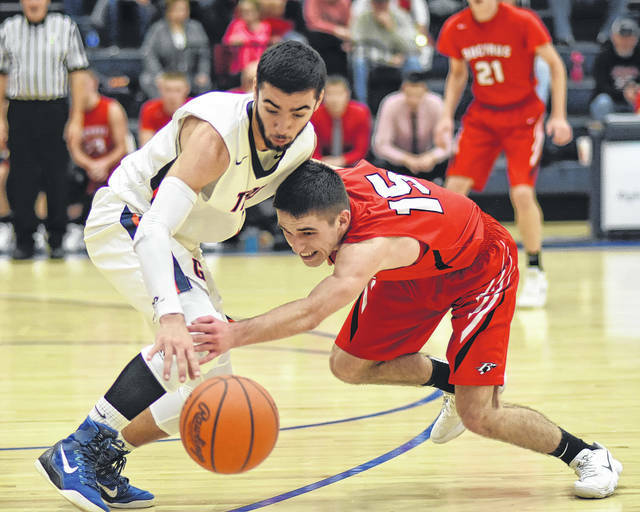 Don Tudor | Galion Inquirer Isaiah Alsip battles a Bucyrus player for the ball Friday at Galion High school in December He finished with 14 points, nine rebounds, an assist and three steals. Alsip was named this week to the District 6, Division II honorable mention all-star squad. https://www.galioninquirer.com/wp-content/uploads/sites/38/2018/02/web1_ghs-120117j-BHS-at-GHS-bb_0179.jpgDon Tudor | Galion Inquirer Isaiah Alsip battles a Bucyrus player for the ball Friday at Galion High school in December He finished with 14 points, nine rebounds, an assist and three steals. Alsip was named this week to the District 6, Division II honorable mention all-star squad.